Rasenberger Media LLC (www.rasenbergermedia.com) is a leading media industry consulting firm providing strategic business development and outsourced distribution and marketing services to the industry. Founded in 1998, Rasenberger Media specializes in helping independent networks launch on traditional and emerging television platforms in the US. Over the past 21 years, Rasenberger Media has advised more than 75 companies on all aspects of network development, including launch and distribution strategies, business and financial plans, multiplatform content distribution, contract negotiations, strategic partnership development, fundraising, business development and outsourced network operations. To date, Rasenberger Media has successfully helped launch more than 25 television networks targeting diverse and underserved television audiences, including AccuWeather, Newsmax TV, Eleven Sports, Outside TV, Outdoor Channel, Al Jazeera English, TV One, MGM HD, TRIO, Newsworld International, WCSN/Universal Sports, IMF (merged with Ovation), Wurl TV, to name a few. Additionally, Rasenberger Media has advised many established media companies on business development and growth strategies, including Houghton Mifflin Harcourt, WWE, Verizon Wireless, Conde Nast, MGM, Al Jazeera, Universal Music, and Modern Times Group/Viasat, among others. Rasenberger Media has developed an excellent track record for accurately identifying and assessing new market opportunities in the media business. Since its inception, Rasenberger Media has evaluated hundreds of new network concepts, advised many dozens of companies on the evolving media landscape in the US and abroad, and been retained by several of the top private equity firms to provide analysis and due diligence on investment opportunities in the media space. Rasenberger Media’s success ratio for identifying, developing and launching successful and sustainable new business ventures in the media space has firmly established the company as one of the leading consultants and outsourcing firms in the field. Catherine Rasenberger, a 30+ year veteran of the cable industry, leads Rasenberger Media’s team. Prior to founding Rasenberger Media in 1998, Rasenberger was SVP Affiliate Sales and Marketing for The Food Network. 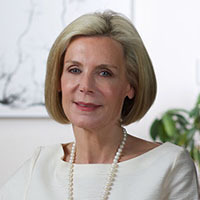 Part of the original launch team in 1993, Rasenberger managed domestic and international distribution, affiliate marketing, and local ad sales during her six-year tenure. Previously, Rasenberger held senior management positions at ESPN, TV Guide, Cablevision Magazine/Titsch Communications, and Warner Bros. TV. Rasenberger started her career at ABC News. Rasenberger holds a BA in History and Literature from Harvard College, Harvard University. Rasenberger has been recognized among Broadcasting and Cable’s “Most Powerful Women” and ranked #34 among “CableFax’s Top 100 Heavy Hitters”.